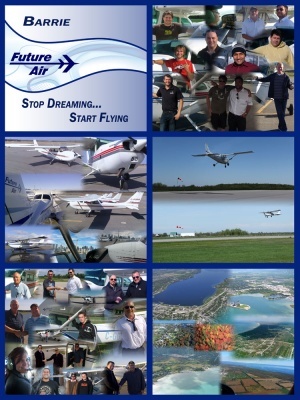 Located at the Lake Simcoe Regional Airports and Collingwood (CYLS and CNY3), Future Air is situated in the middle of a rich and diverse environment offering students minimum transit times to and from designated training areas. Future Air strives to promote training in a relaxed and friendly environment. Future Air has successfully trained pilots since the year 2000, we have provided a wide range of top notch services to the area. Why choose Future Air over other competitors? We pride ourselves on the professionalism of all our Staff; we strive to provide the best service possible and to make your experience as rewarding as possible. We have multiple dedicated aircraft and staff members at each of our locations to provide the best on time service to meet all our clients' needs, no waiting for one instructor to show up or one aircraft to return. 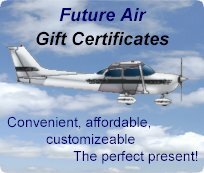 Established in January of 2000, Future Air has been providing professional, reliable service for over 16 years. Our highly experienced staff includes a Class I Flight instructor, a Class II instructor, and several Class III and Class IV Instructors. These instructors have over a combined over 45 years of instructing experience behind them meaning that you will be getting your license from the most experience staff in the area. We have graduated more than 100 students some of which have gone on to have successful careers in aviation. Our focus is not just teaching new students; we have also helped older pilots regain their love of aviation by regaining their license. Future Air has provided 1000s of tours viewing the majesty of Southern Georgian Bay, Lake Simcoe and Central Ontario.